The Tacoma Buddhist Temple’s Buddhist Women’s Association (BWA) was organized in 1925 as a fellowship and service organization to direct its activities toward assisting in various temple functions and community affairs. Originally known as ‘Fujinkai,’ the name was changed in 1996 after the celebration of their 70th Anniversary. Today, the members of the BWA assist in many temple events, sponsor two services each year, and offer support when asked by the minister or other Temple organizations. They hold a bento fund raiser, a craft activity for the fall bazaar, a cooking class for the Dharma School students, a pet towel drive in conjunction with Nirvana day, a summer peanut butter & jelly drive for students, a food/clothing drive in the fall and an ongoing toiletry drive to help a local women’s shelter. 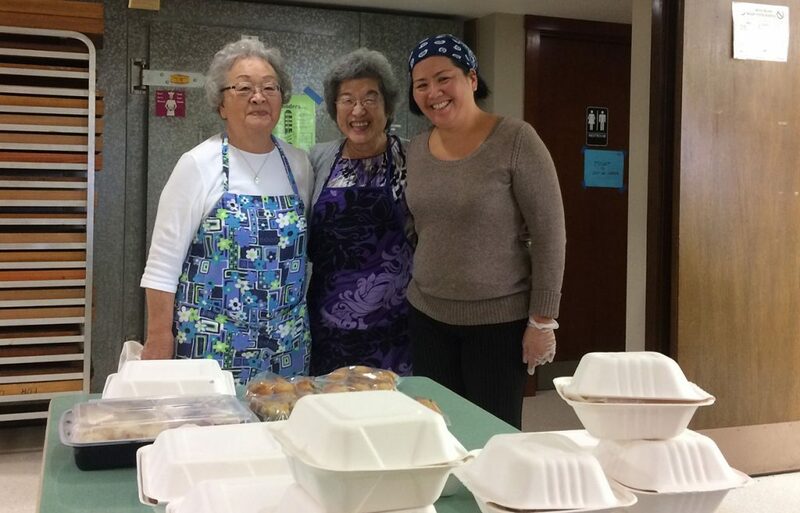 All members enjoy good food at the New Year’s luncheon, a fun time on their annual field trip, and appreciate partial registration credit for the annual NW District Buddhist Convention. The Tacoma BWA is recognized for making daifuku mochi (sweet rice cake dessert) four times a year using a recipe passed down from former members. Our history remains strong as we grasp new ideas and await new members for our future. All women who are registered temple members are invited to be part of this prominent group referred to as ‘the backbone of the temple’ – the Tacoma Buddhist Women’s Association.